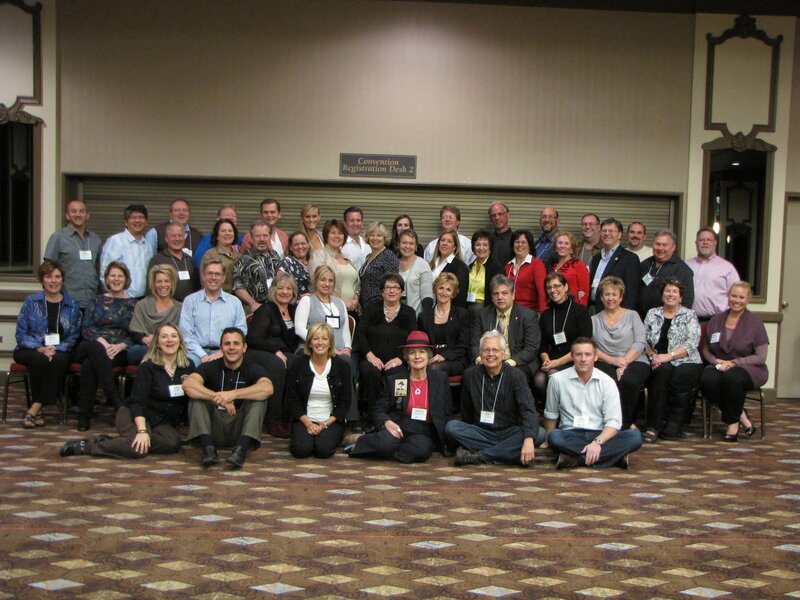 I just returned from the "Real Estate Masters Guild" conference in Reno, Nevada and it was a seriously amazing event. So many of the REMG attendees were like a "who's who" in real estate and these agents weren't just top homes sellers because the room was filled with experts in technology, blogging, digital photography and social networking as well so the lessons we learned from these top agents was remarkable. You would think that when you combine an elite group like this that the room would be filled with big egos and a bunch of bragging but it was actually the exact opposite and all the attendees and speakers at this event openly shared their ideas and many of the speakerw actually mentored agents who wanted to take their businesses to the next level. In 25 years of attending conventions and conferences I have never attended an event quite like this because there was zero negative discussions and we simply didn't hear anyone make comments like "that ideal won't work in my market". The reality of this event was that most people at REMG were like big sponges and thee attendees were absorbing up all the great ideas. The positive energy and enthusiasm of this "Real Estate Masters Guild" group was extremely exciting. The national media would have you believe we are all living through an economic meltdown but after connecting with this group we heard story after story of agents who are actually growing their businesses by helping their clients benefit from the current housing market because for buyers there hasn't been a better time to buy and for sellers who want to upgrades there are so many logical reason why we knox there has never been a better opportunity to move up. Lower home prices and record low interest rates ranging between 3% to 4% range have made houme affordabilty the most desirable time to make a move since the 1960's. At the Reno event the founder of Real Estate Masters Guild announced that the next conference will be held in Jacksonville, Florida from April 26th through April 28th, 2012. I was so excited about the REMG Reno event that I actually signed up for the upcoming 2012 Jacksonville event on the spot. If you are an agent who is serious about improving your systems, leveraging your time management skills, learning about and implementing the latest technology or if you just want to become more efficient in your business so you can have more free time with your friends and family you will benefit by attending this event be sure to check out the link below. Additional details about the 2012 Real Estate Masters Guild Conference in Jacksonville, Florida. Top real estate agents around the world regularly turn to one man when they want to grow their real estate business and that man is Howard Brinton. I have had the privilege of learning from Howard and his Star Power Network for nearly 20 years. There hasn't been anyone or anything that has had more positive impact on my real estate career than Howard Brinton and his group of Stars. During the past couple of years I have witnessed many real estate professionals who have left the real estate industry because they didn't know how to adapt to the changes that were taking place in the economy. During that same time my personal real estate business has remained strong and I continue to lead our Knox County Ohio real estate market for the 18th consecutive year. I attribute my continued success to what I learn each year at the Annual Star Power Conference. If you want to not only survive but thrive in this changing market you need to attend this years annual conference on July 29th through August 1st in Denver, Colorado. The Star Power Annual Conference is much more than a traditional real estate seminar. It goes beyond the typical high energy seminar experience because it offers top level breakout sessions on dozens of current topics which will help you overcome daily obstacles and challenges found during a normal day of selling real estate. This year there will also be special round table and panel discussions relating to dealing with foreclosures, short sales and working with financially challenged clients and their lenders. There has never been a better time to learn this information and to talk with other successful agents who are succeeding in this market. One of my main goals when I attend the Star Power Annual Conference is to talk with top real estate agents who are selling more homes than I am and find out what they are doing differently than I am. Attending a Star Power Conference is a lot like winning a back stage pass and gaining access to some of the brightest minds in real estate. I have already registered for the conference and I hope to see you in Denver. For more details about Howard Brinton and Star Power visit GoStarPower and for conference details visit Star Power Annual Conference.